To be played at Ron Steel Sports Ground, the home of Dunkirk FC on Wednesday 29th November 2017 with a 7.45pm kick off. Admission will be by donation. 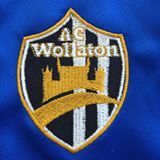 AC Wollaton take on the might off one of the leading lights in terms of the ONLY STEP SEVEN Football League in Nottinghamshire, in the Nottinghamshire Senior League. Players and Representatives from clubs such as Wollaton FC, Awsworth Villa FC, Dunkirk AFC, Bilborough Town FC, Magdala Amateurs FC, Newark Flowserve FC and Basford United Community FC to name a few, will come together to form the squad.